It’s frosh week and things are crazy! Campus is swarming with bewildered teenagers and clingy parents, and we’re right in the thick of things handing out programming guides, tabling at events, and organizing on-campus concerts. Whewwww. More coffee! It’s September and Pop Montreal is right around the corner, and to celebrate another year of insanely awesome programming we’ve invited the Pop crew into our studio to dish on the highlights of this year’s fest. Tune in every Tuesday in September from 3-5pm for a whole slew of interviews, performances, live radio karaoke, and much more. My head is spinning just thinking about it, seriously. Don’t believe me? Take it from Jojo. 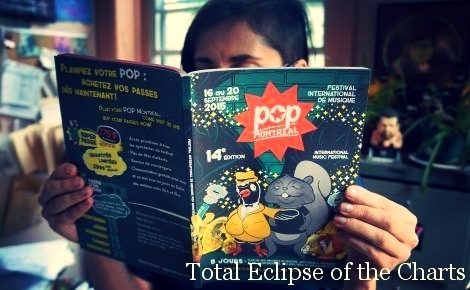 This entry was posted in Charts and tagged CKUT 90.3FM, Pop Montreal, specialty charts, top 30, total eclipse of the charts on September 2, 2015 by CKUT Music Coordinator. Working as a copy editor and book dealer, Myriam draws her inspiration from a wide range of sources, most recently setting an anthology of poems by Dorothy Parker to music. The nine-track project entitled “Not so deep as well” was released earlier in 2014 on Feeding tube records, and was met with critical acclaim. Benoit is a well respected poet and editor. Since the publication of his first works through his own publishing house L’Oie de Cravan, he founded and published the bilingual cultural zine Le Bathyscaphe, keeping his fingers on the pulse of the Quebecois literary scene. 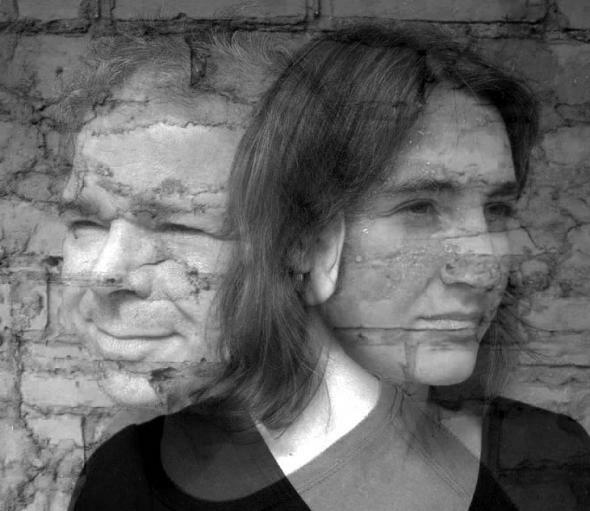 As both contribute to the If you got ears playlists, expect poetic cross-genre explorations, from spoken word to folk. This entry was posted in CKUT programming on September 2, 2015 by librarian. 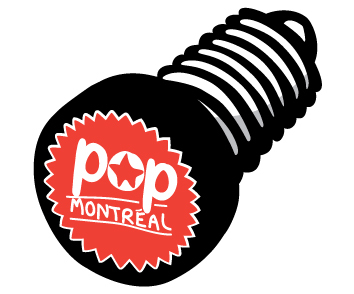 This month we’re lucky enough to have Pop Montreal hosting The Montreal Sessions here at CKUT! If you managed to catch yesterday’s episode, you were in for a ride. The session was hosted by Pop Montreal’s Daniel Seligman, along with his daughter Jojo. We had a full studio which included the esteemed musician (as well as author) Ohara, and Michael Felber from Urockaoke! Nantha Kumar also made a guest appearance on the show to talk about the pop-up restos that Pop Montreal are organizing this year. And as if three guests wasn’t enough, Commander Clark made a special appearance during hour two of the show to serve up some hilarious impromptu music. Full of good music, giggles, and a legendary performance of “I Believe I Can Fly” by R. Kelly, this is one episode you gotta hear. This entry was posted in CKUT programming and tagged Commander Clark, Michael Felber, Nantha Kumar, ohara, Pop Montreal, The Montreal Sessions, Urockaoke on September 2, 2015 by librarian.